This is the 2nd in a 3 part series about hidden ingredients in our food that undermine our health. The 1st post discussed hidden names for MSG, an ingredient the can cause foods to be highly palatable but damages brain cells and neurons. Today, I will focus on sugar. AMERICANS ARE ADDICTED TO SUGAR! The sugar consumption of the average American is 22 teaspoons of sugar a day (1 tsp = 4 grams) and the total for the year is 130 pounds! This many not seem like a lot since we are used to seeing sugar everywhere. To put in perspective though, consider that long before the industrial revolution the average consumption was 5 pounds of honey, a natural sugar, per year. And, the AHA daily recommendation for sugar intake, which is honestly still too high, is 5 tsps for women, 9 for men and 3 for children. Americans are inundated with sugar! Never before in the history of man have we had an emergency need to lower our blood sugar. The results are devastating. 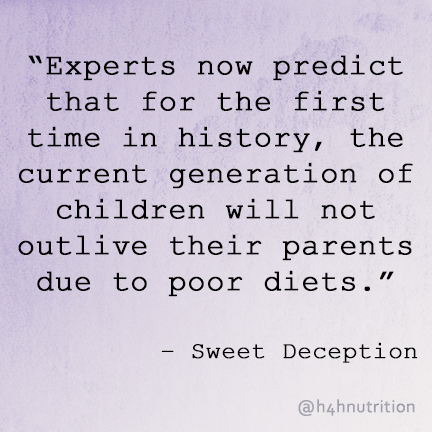 Refined sugar is one of the worst ingredients in our modern diets. With the saturated fat/ heart disease scare (1) of the late 1900s manufacturers needed an alternative to make processed foods highly palatable. 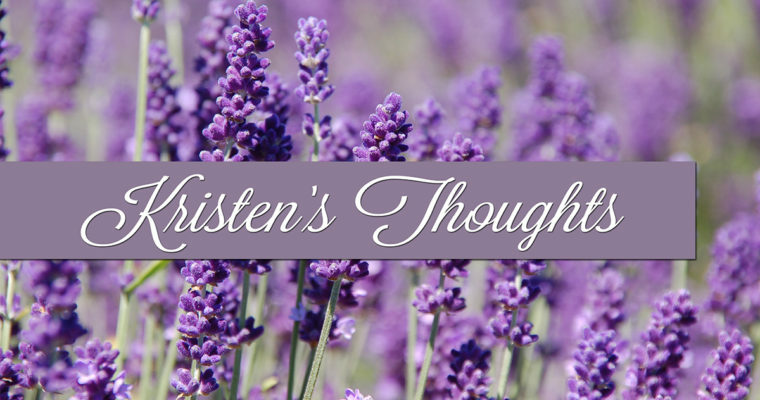 Otherwise, processed food, which is very refined and has no nutritional value, is virtually tasteless. 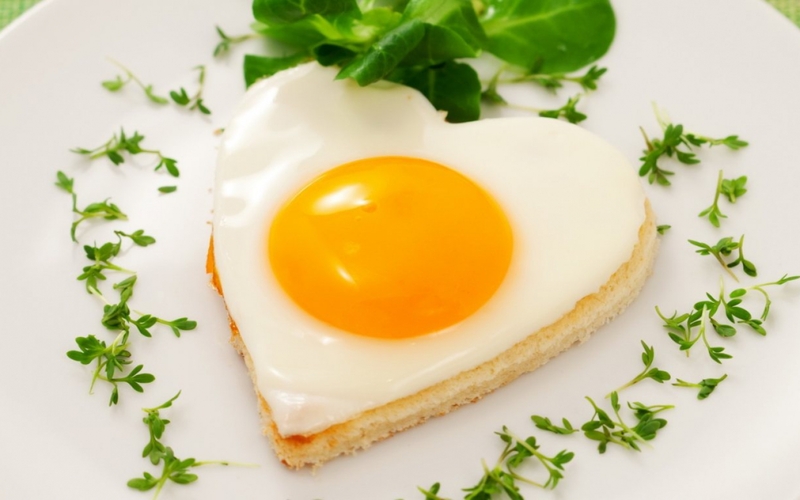 So, in the name of heart health, we began replacing the fat in our foods with sugar. Sugar excites our taste buds and makes our food taste awesome. Turns out, sugar also causes us to want to eat more and more and it is highly addictive (2). Total win if you are food manufacturer. In fact, it has come to light that the sugar industry has paid to hide the harmful health effects of sugar (3) and refined sugar may be the true driver of heart disease after all. If you have a hard time controlling yourself with food it is because your taste buds are being high jacked. Manufacturers are taking full advantage of your desire for sugar, which, when sugar was scarce, was actually a valuable protective mechanism. It takes a conscious effort and a strong will to change these habits in our sugar saturated society. WHERE DO I FIND SUGAR? Reaching that daily sugar limit may be quite a bit easier than you think. Why? Well, sugar is in EVERYTHING! I have an autoimmune condition that requires me to eat extremely low sugar, otherwise I am in pain. When I embarked on my no sugar journey many years ago I was completely shocked at how much sugar I was consuming and I did not even eat candy or drink sodas at the time. Learning to read labels and locate sugars is imperative to experience optimal health. Surprisingly, this meal is full of sugar! What we expect sugar to look like. Any ingredient ending in –ose: sucrose, galactose, glucose, fructose, lactose, dextrose, etc. 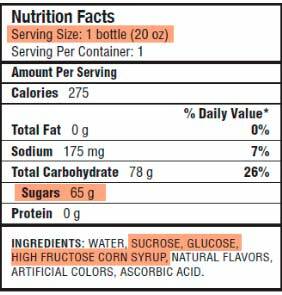 High Fructose Corn Syrup (HFCS) This is a cheap version of sugar made from corn and is far worse than sugar. It is especially damaging to the liver as it is almost 90% fructose. You will find it in almost all fast foods, sodas, condiments and highly palatable processed foods. 2.) More than one type of sugar is used. The higher up an ingredient is on an ingredient list, the more of it is in the food. 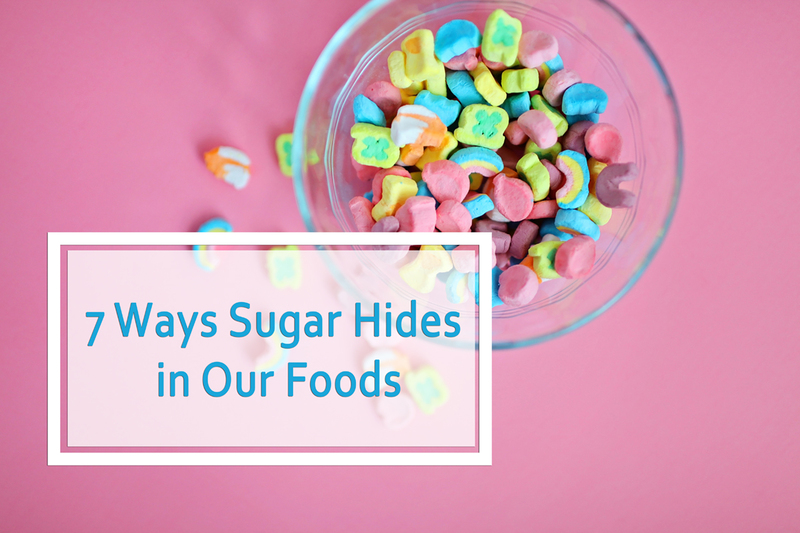 In order to hide the fact that many foods are mostly sugar, you will find 2 or 3 different types of sugar so they can be placed lower down on the list. 3.) 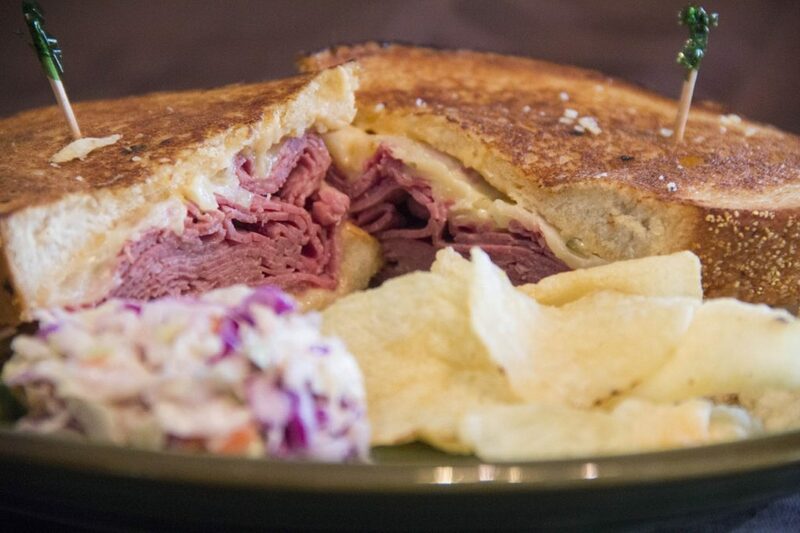 Serving sizes will be smaller. So less sugar is listed. 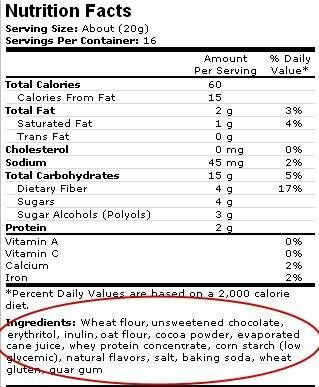 For example a peanut butter cup may be listed as having 3g of sugar per serving, yet there are 2 servings…. for one cup…. who on earth eats half a peanut butter cup?! It’s just shady. 4.) Use of artificial sweeteners. Aspartame, acesulfame and sucralose are hundreds of times sweeter than sugar and may have no calories but they are absolutely detrimental to your health. (12). Also, just the taste of sweet causes our bodies to respond as if we were actually consuming sugar (13). 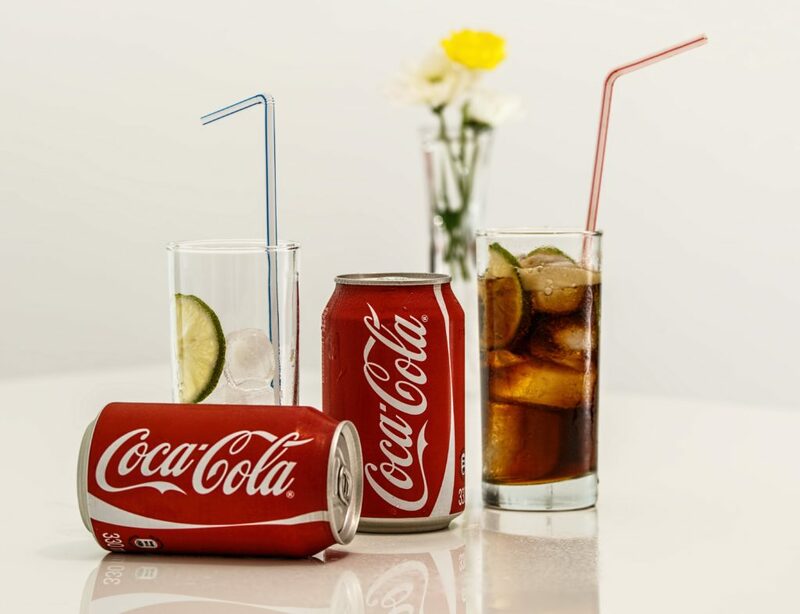 Diet sodas are NOT the way to go when trying to avoid sugar. 5.) Beware of foods labeled “No sugar added”. These foods will use “natural sweeteners” like fruit concentrates which still have the same effect of sugar within the body. They are concentrated, highly refined and have no vitamins and fiber to modulate the effects of the “natural” sugar. 6.) Use of “healthy” alternatives like organic cane sugar, cane juice, beet sugar, fruit juice, molasses, and coconut sugar. They are all still sugar with the same effects as sugar. They are used to mask foods with no nutrition and no taste. Agave nectar is highly refined and is 80% fructose. 7.) Note on sugar alcohols: Sugar alcohols include xylitol, glycerol, sorbitol, maltitol, mannitol, and erythritol and are 300x sweeter than sugar. 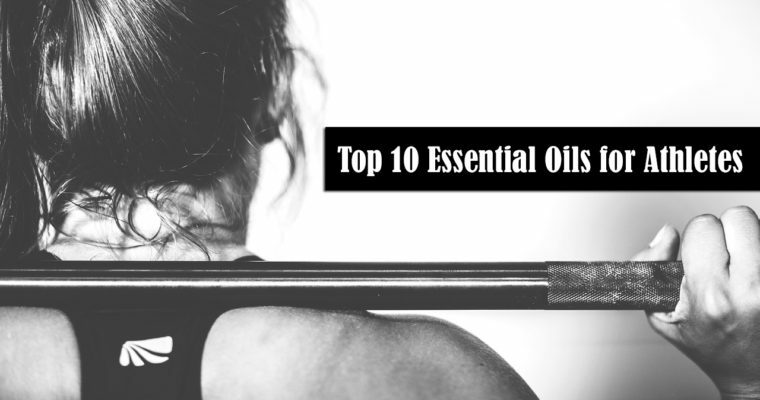 While these alcohols are sometimes better metabolically than straight up sugar, they are highly refined and they can be really hard on those people with intestinal dysfunction. Plus, remember just the taste of sweet can still be harmful. This label has many sugars. This label has small servings. Get mad! Be angry at the effects sugar has on you and the way manufacturers use sugar ti high jack your taste buds. Eliminate or dial back processed foods. Cut back slowly to avoid the sugar withdrawals. Exercise raises dopamine like sugar and will help you get over the hump. If cravings hit, sub good fats for sweet, go for nuts, avocado, or some raw dairy. If desserts are your thing have a low glycemic fruit. Fruit sugar is combined with the vitamins necessary to process it and fiber. Sub smoothies, combined with protein and good fat, instead of sweet drinks and sodas. Or try a low sugar kombucha, like GT brand. If you juice, juice veggies. Fruits without fiber are a big sugar hit. Make your own dressings, sauces and condiments. I LOVE lemon juice and olive oil for salads. If you must have some sugar, eat a piece of dark chocolate, use those healthier less processed sugars sparingly (think raw honey, pure maple syrup, fruit juice, or whole leaf stevia powder), and try to consume before a workout or activity. Set up some accountability. Find a friend to sugar detox with, tell a coach, or join a sugar detox group. 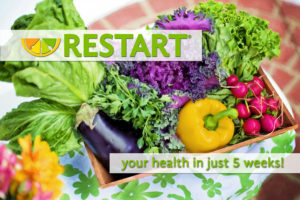 I instruct the Restart program which includes a 21 day sugar detox. Save your kiddos! 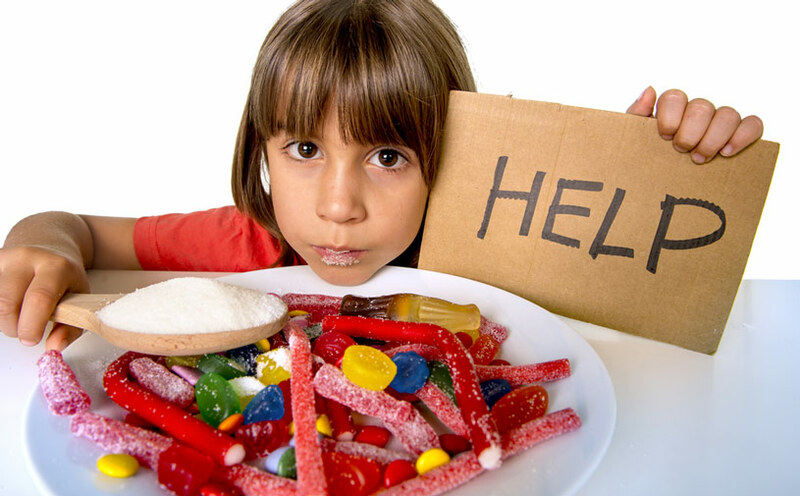 The harmful metabolic effects of sugar are even worse for children. Have your children detox with you, mine did, and get out of the habit of rewarding children with sugar. Eventually, your desire for sugar decreases after about 3 weeks and it becomes easier. That is why so many sugar detox plans are 21 days. I rarely crave sugar any more. Hang in there, you can do it! 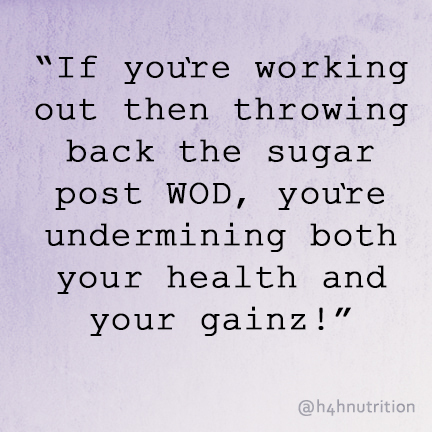 Comment and let us know where you struggle or what sugar busting strategies you use in your daily life.